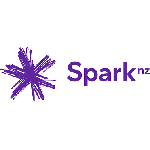 Over the past 14 months, Spark NZ have embedded a framework and strategy classified as Digital Adoption, and has been designed to encourage confidence in customers to move towards utilising digital tools for contact. In the past 12 months of adopting the approach and teaching customers to use digital tools, and chat functions, call volumes have reduced significantly. This has filtered customer interactions to allow more focus on complex and meaningful conversations over the phone as a support channel, and digital tools to drive speed and efficiency to broader customer enquiries.